Nowadays, most Europeans take clean drinking water for granted. Yet, in the pan-European region alone, about 19 million people still do not have access to improved water sources and 67 million people lack access to improved sanitation facilities. About 100 million people do not have access to sanitation facilities at home, which makes them vulnerable to water-related diseases, such as cholera, bacillary dysentery, coli infections, viral hepatitis A and typhoid. Cleaner water and better sanitation could prevent up to 30 million cases of water-related disease each year in the region. The 1999 Protocol on Water and Health was negotiated with this in mind. 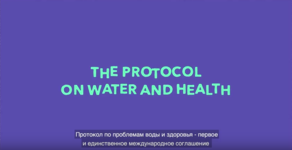 The main aim of the Protocol is to protect human health and well being by better water management, including the protection of water ecosystems, and by preventing, controlling and reducing water-related diseases. The Protocol is the first international agreement of its kind adopted specifically to attain an adequate supply of safe drinking water and adequate sanitation for everyone, and effectively protect water used as a source of drinking water. 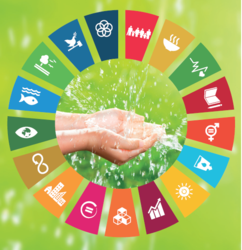 To meet these goals, its Parties are required to establish national and local targets for the quality of drinking water and the quality of discharges, as well as for the performance of water supply and waste-water treatment. They are also required to reduce outbreaks and the incidence of water-related diseases. This Protocol introduces a social component into cooperation on water management. Water resources management should link social and economic development to the protection of natural ecosystems. Moreover, improving the water supply and sanitation is fundamental in breaking the vicious cycle of poverty. Information on the ratification status, procedures, meetings, priority areas of cooperation, services, documents/publications and the addresses of national focal points and responsible officers in the secretariat is on the website of the Water Convention (this website). The WHO/Europe's website on water and sanitation provides additional technical and scientific information on the implementation of the Protocol. The work-sharing arrangements between the two organizations are laid down in a memorandum of understanding, which is supplemented by annual workplans: 2014, 2015.